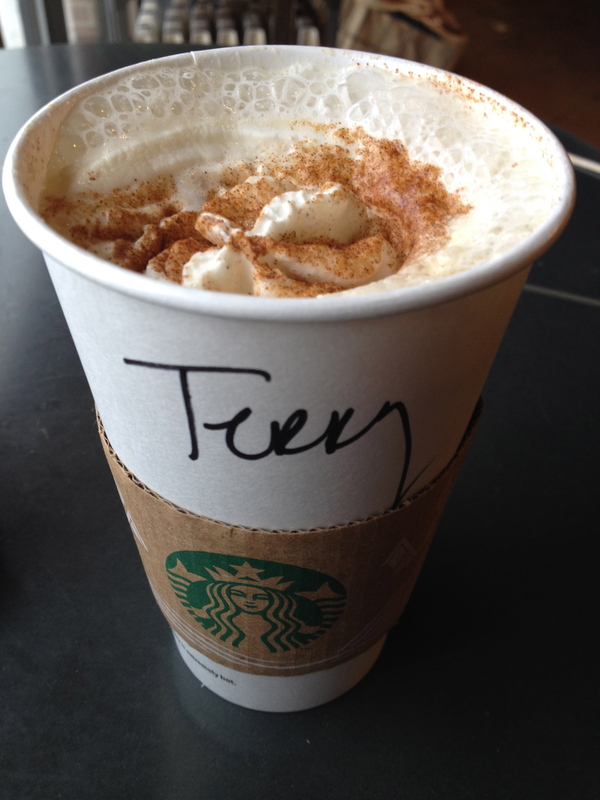 A grande cinnamon dolce latte, complements of the Barista at Starbucks. Proof that there are still nice people out there! Conversations with my 72-year-old mom can be so rewarding and entertaining at times. Not only is she a wise lady, she cracks me up too. Sorry you have been under the weather and I hope you are feeling much better. Yeay for the polar vortex going North! What a relief that must be for ya’ll especially in the Midwest.